For the last several years (eight to be exact) I have been working on a book. I have stopped, started, re-titled, re-worked, cried, prayed, and started again, more times than I would like to think about. And probably more times than those close to me care to hear about. But God’s timing is always perfect and for sanity purposes, I’m going with that! 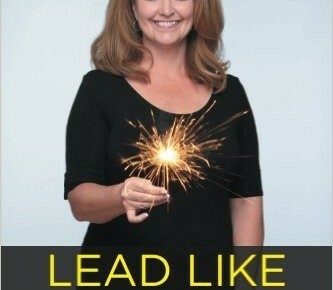 I am humbled and thrilled to say, it is published and released on amazon.com and barnesandnoble.com, it’s titled: Lead Like The Sun – Becoming Love On Fire, To Lead. It is a coaching guide that is a blend of my personal story, along with coaching pieces, to encourage personal leadership in your own life story. I am grateful beyond words for all of you, all my friends and family, for your love, laughter, grace, and support. I’m excited to celebrate with you, what God has done. Wooo-Hooo! I am so proud of you,my friend. What an accomplishment! Having gone through much of your journey with you,, I know the blood, sweat and tears that have gone into your work. May God bless the work of your hands! Thank you, Val, for being on this wonderful journey with me, I’m so blessed God let us share it together! Way to go Michelle!! So proud of your newest accomplishment! I’m certain that there will be many more to come. It is a pleasure knowing you and having worked with you. Thank you, Paula, Likewise! You are such a gift and joy.